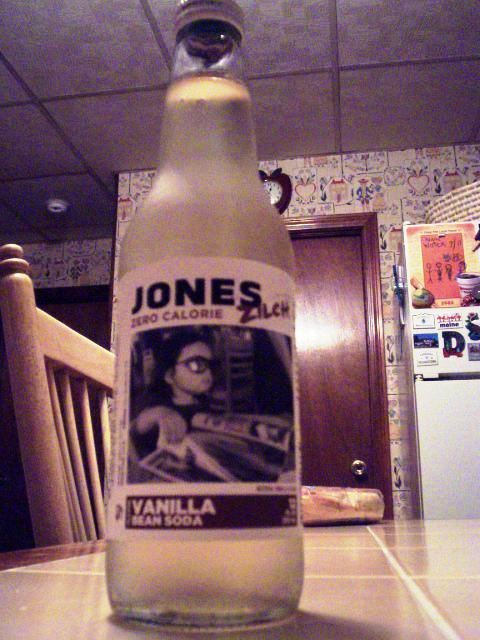 I'm sure you've all seen the bottles of Jones soda in your local markets. They come in neon colors and 12 oz. bottles and have enough sugar in them to give a horse diabetes. Laura had tried one at work and was bouncing off the walls for the rest of the day. However, this Saturday at Stop & Shop, Laura picked up a Jones soda that promised it was sugar-free and calorie-free. Could this be for real or was this like the Seinfeld episode where the fat-free yogurt wasn't? We examined the bottle. Hmmm, it said calories - Zilch - no sugar plus added vitamin C. Could it be? Really? And if so, how did it taste? VERDICT: Yum! This was really good. It wasn't sicky sweet, had great vanilla undertones, and kind of a cream soda aftertaste. It was very different and pleasant tasting. I'm not a big soda drinker and I enjoyed it. I had to check out their website. Besides vanilla bean, their Zilch brand comes in pomegranate and black cherry. I wonder how those taste? Plus to top it all off, if you send them your photo (and they like it - emphasize and they like it), they'll put it on their label. Imagine me ... on a label. I wouldn't look good on the Zilch brand, though. Nor do I think they would pick me. But maybe I could be on the full sugar explosion, lol! Oh well, who wants to be famous anyway? Pick up a Jones Zilch and try for yourself. It's at Stop & Shop this week for only a dollar per 12 oz. bottle ... and it better be sugar and calorie free - no joke!